This might be the cutest coloring page we have created yet! 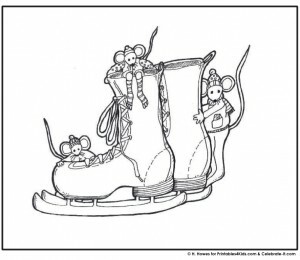 Print and color these curious mice playing in a pair of ice skates. I used this as an activity for the kids at my daughter’s ice skating themed birthday party last year. Click on the image above to view an print full size.